Archive Type - specify the archive type you want to create. It should match the file extension of the archive name. Compression Level - specify which compression level you require. Higher compression levels require more CPU and memory. Some compression formats only support a subset of the available compression levels. 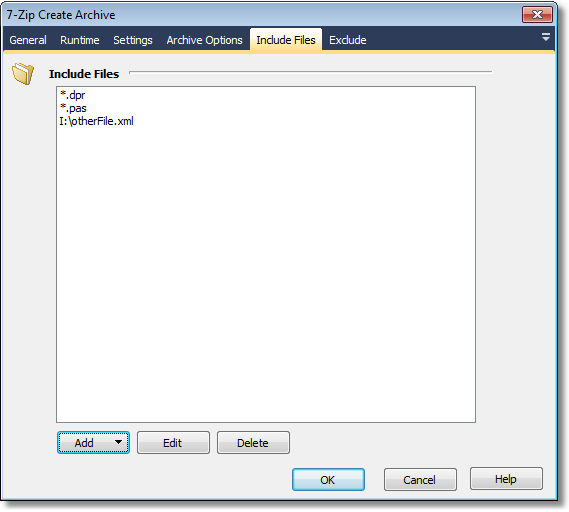 Specify the files to include in the new archive. 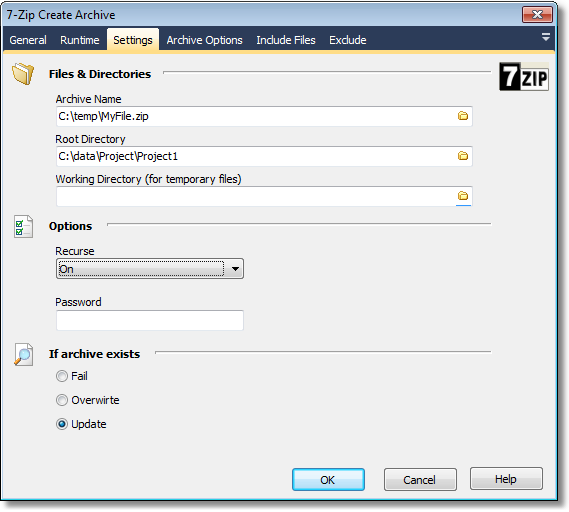 If you don't specify a fully qualified filename, then the working directory must be set on the Settings tab. 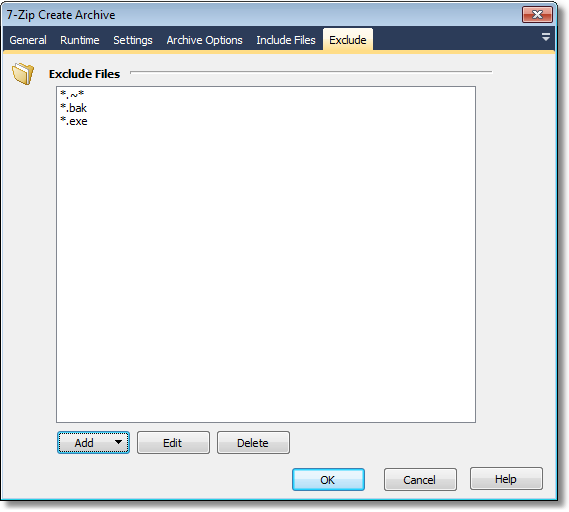 Specify any files or filespecs to exclude from the archive.